Paradise Woods, brilliant winner of the Grade I Santa Anita Oaks in April but a serious disappointment as the favorite in the Kentucky Oaks May 5, returns to action Sunday when she heads a field of eight three-year-old fillies in the Grade III $100,000 Torrey Pines at one mile over Del Mar's main track. The swift daughter of Union Rags won the Santa Anita Oaks by eleven and three-quarter lengths as she pleased and went into the prestigious Kentucky Oaks as a 6-5 favorite. However, after setting the pace to the stretch over the sloppy Churchill Downs track, she faded badly and wound up eleventh of the 14 entrants. 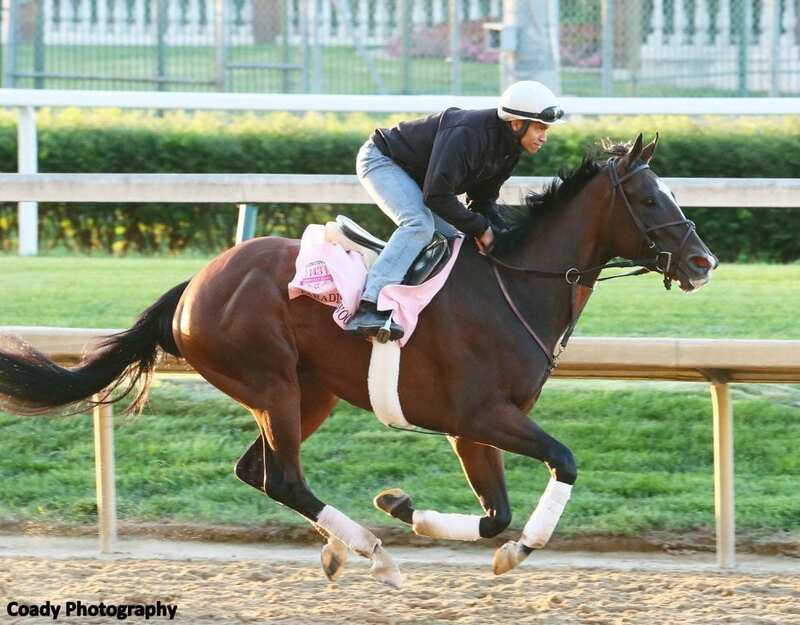 Freshened by trainer Richard Mandella after the Kentucky Oaks, Paradise Woods comes into the Torrey Pines with a solid series of six workouts at Del Mar this summer. Regular rider Flavien Prat again has the call on the filly who figures to be favored under highweight of 124 pounds. Seeking the upset will be Chocolate Coated, 118, Gary Stevens; Zapperkat, 120, Norberto Arroyo, Jr.; Delitefull Lady, 118, Corey Nakatani; Mistressofthenight, 120, Rafael Bejarano; Helen Hillary, 118, Joe Talamo; Bernina Star, 120, Santiago Gonzalez, and Munny Spunt, 118, Drayden Van Dyke. Chocolate Coated, Zapperkat, Mistressofthenight and Bernina Star will run in the Torrey Pines off victories in their last starts. Supplemental entries at $1,000 each are Delitefull Lady and Munny Spunt. Post time for the first of ten races Sunday is 2 p.m. The field from the rail: Paradise Woods (Flavien Prat, 7-5), Chocolate Coated (Gary Stevens, 15-1), Zapperkat (Norberto Arroyo, Jr., 3-1), Delitefull Lady (Corey Nakatani, 10-1), Mistressofthenight (Rafael Bejarano, 6-1), Helen Hillary (Joe Talamo, 10-1), Bernina Star (Santiago Gonzalez, 8-1) and Munny Spunt (Drayden Van Dyke, 10-1). This entry was posted in Racing and tagged Del Mar, flavien prat, kentucky oaks, paradise woods, richard mandella, russ hudak, Santa Anita Oaks, torrey pines stakes, Union Rags by Del Mar Thoroughbred Club. Bookmark the permalink.